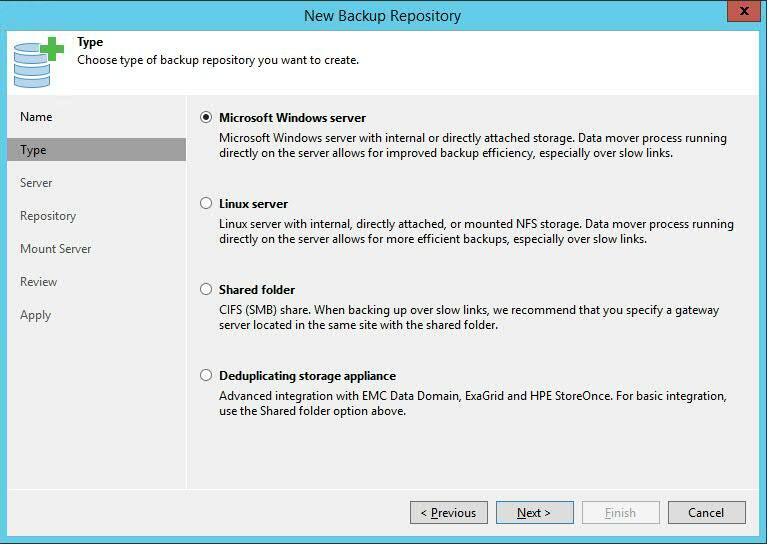 deduplicating storage appliance - only the following three are supported EMC Data Domain, ExaGrid and HPE StoreOnce and there is also Enterprise license required. 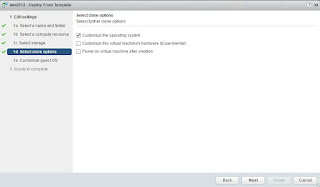 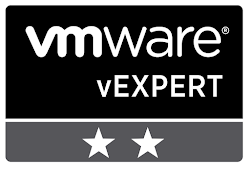 For the current implementation, the chosen solution is implemented in a VMware environment across two vCenter Servers. 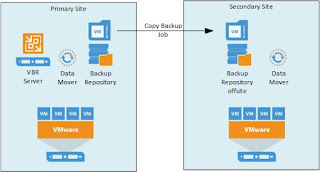 VBR Server and main repository are located in the primary site. 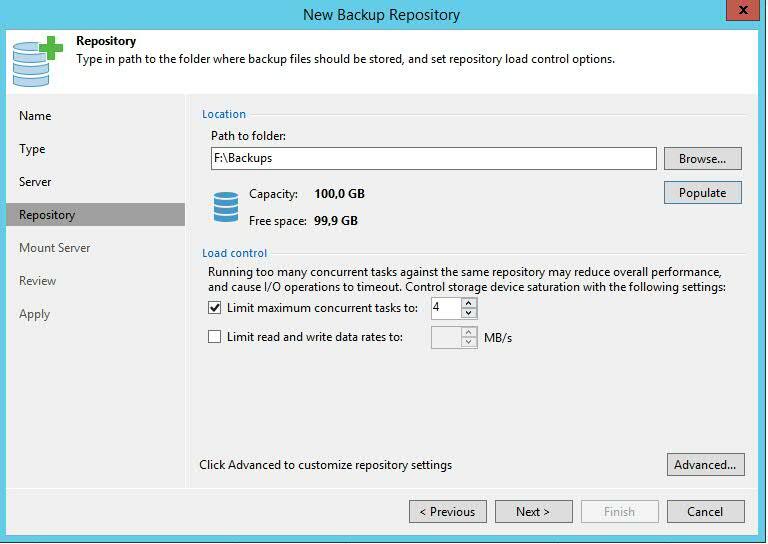 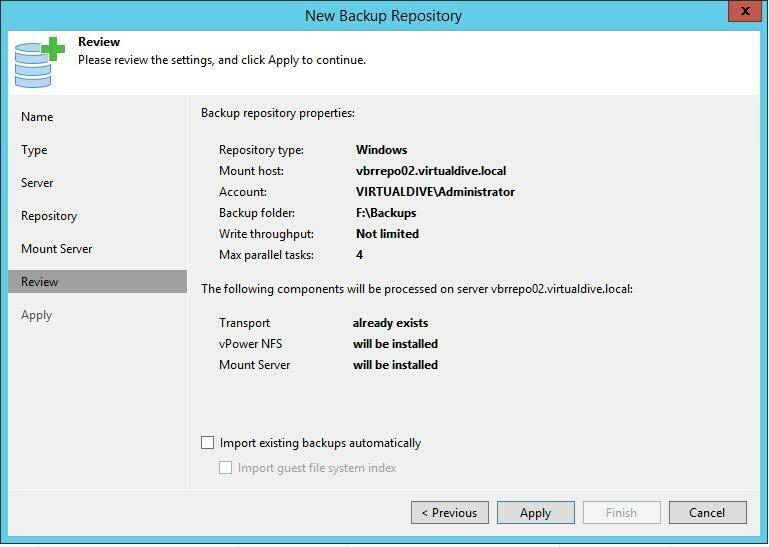 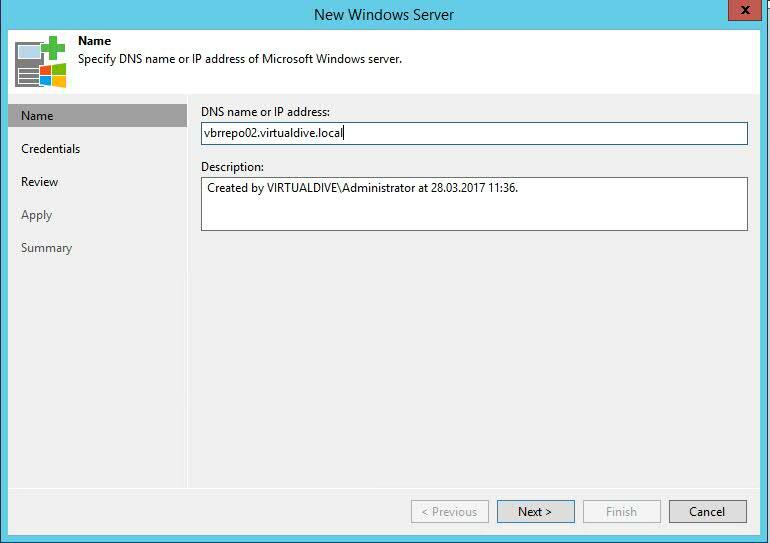 In the secondary site a backup repository has been installed on top of a Windows VM. 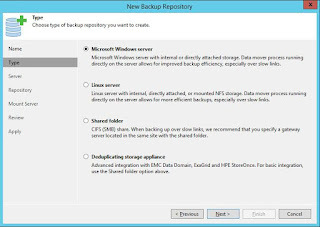 Data mover service is installed in both sites. 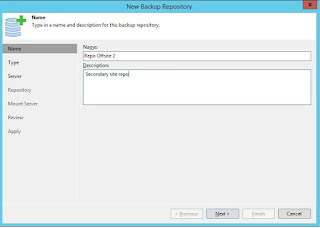 Having a data mover service in secondary site also enables backups directly to secondary site. 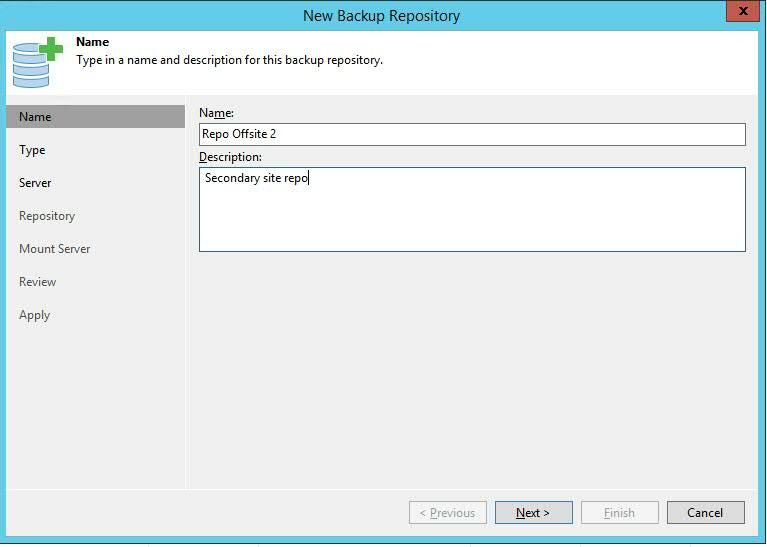 Now, let's see how to configure the offsite repository. 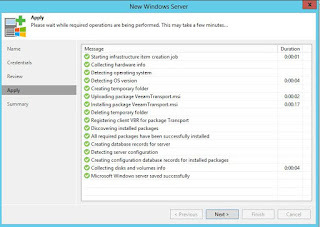 First we need to deploy the Windows VM. 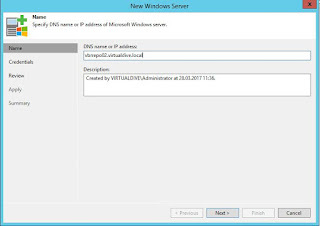 The process is "standard" procedure: reserve an IP address, deploy from template, select VM name, compute resource and storage, customize the guest OS (including joining to AD). 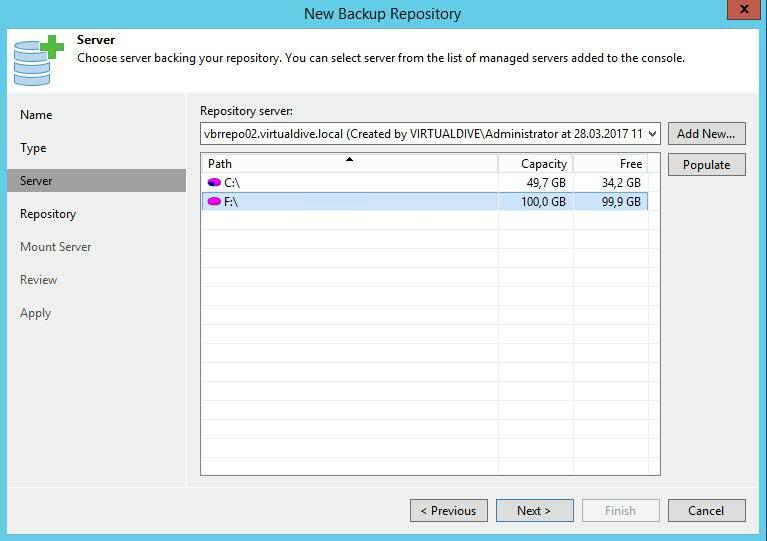 After the VM has been deployed, configure the VM hardware if necessary: repository space depending on the size of the backups and RAM (4GB for OS and up to 4GB for each concurrent backup job). 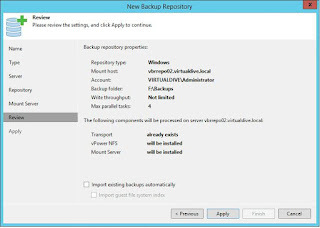 Once the Windows VM is up, go to VBR management console, backup infrastructure tab and start repository configuration wizard by right clicking on Backup Repository -> Add backup repository. 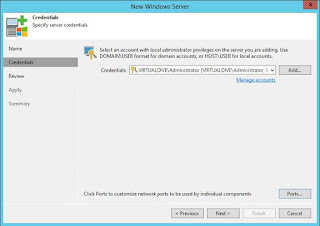 On the repository server list page press "Add new"
Add the credentials to use for connecting to the VM. 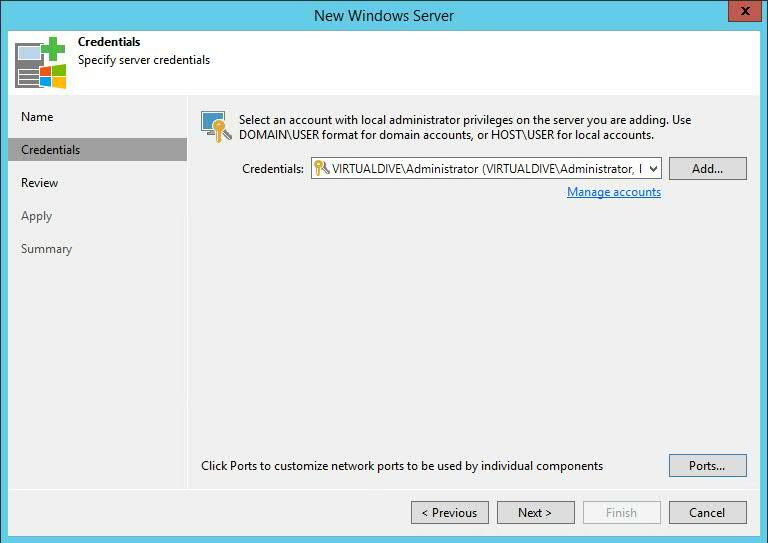 If you've saved them in the credential manager select them from the drop down list, otherwise click Add button and enter the username and password. 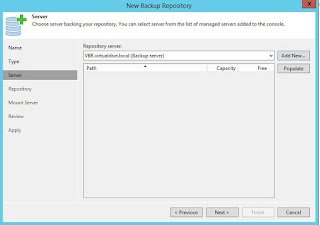 Once server is configured the new backup repository is displayed in the list of servers. 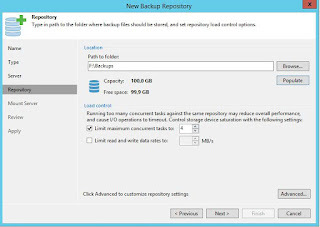 Press Populate button to retrieve all the available storage locations. 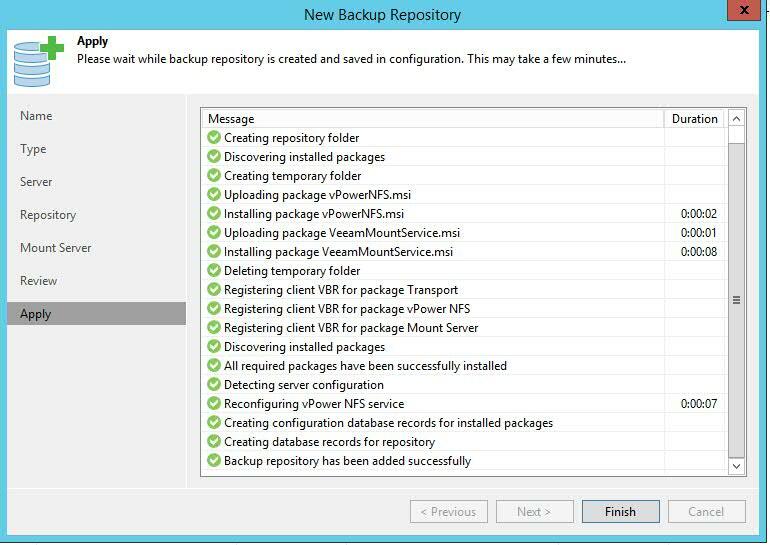 Select the appropriate storage, press Next. 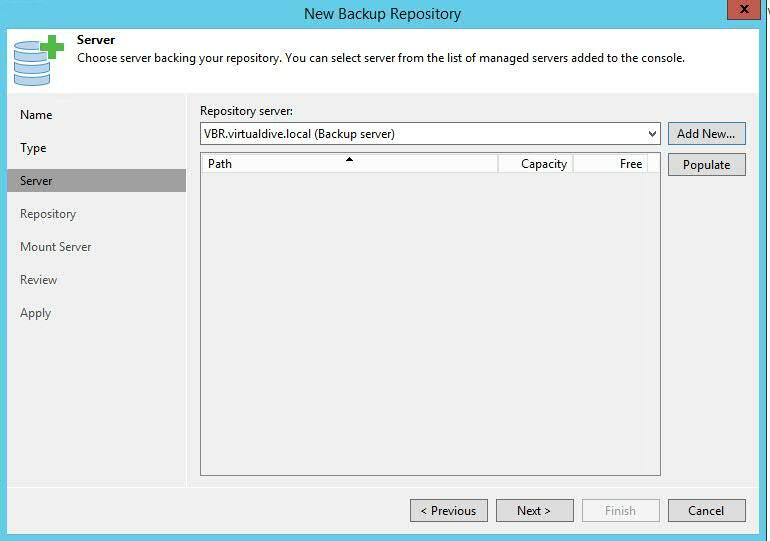 Configure the repository parameters: backup folder path, maximum number of concurrent tasks, read and write data rates (if necessary). 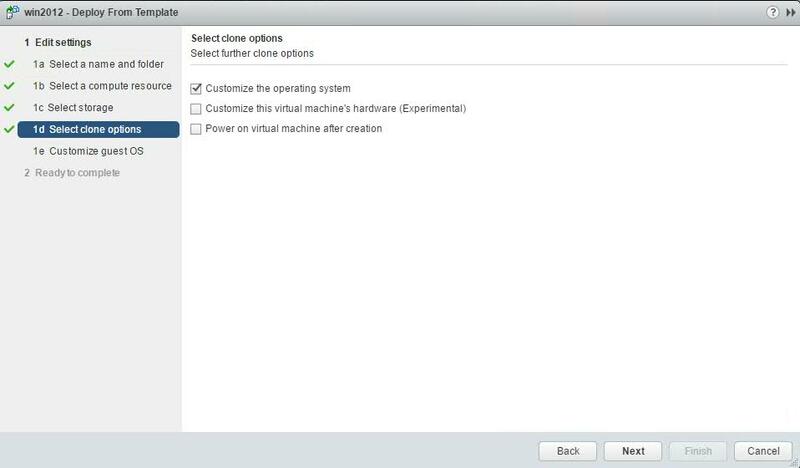 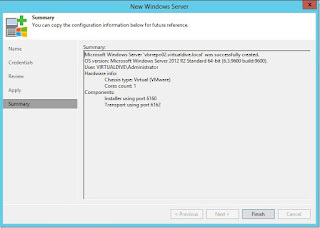 Next, select the mount server and whether to enable vPower NFS or not. 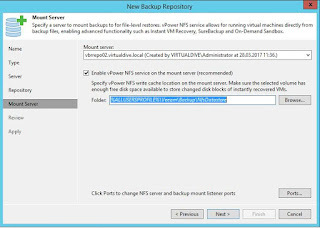 Default TCP ports for mount server and vPower NFS could be changed if necessary (press Ports button). 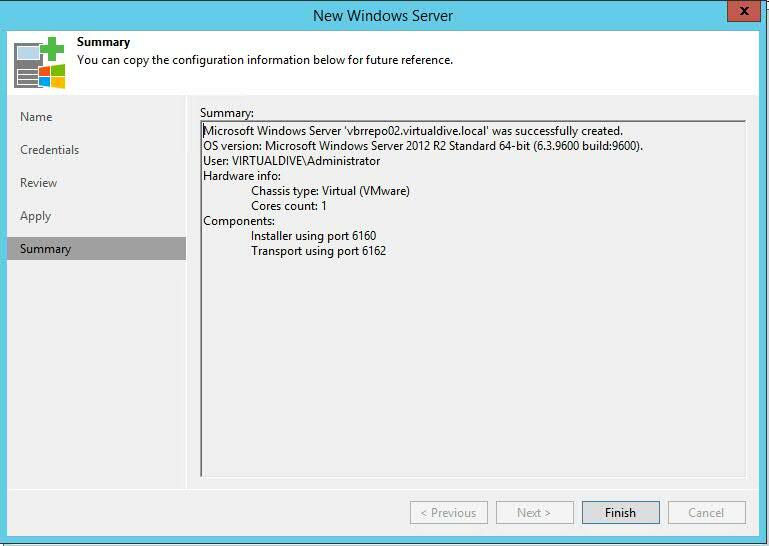 Review the configuration page of the server and press Apply. 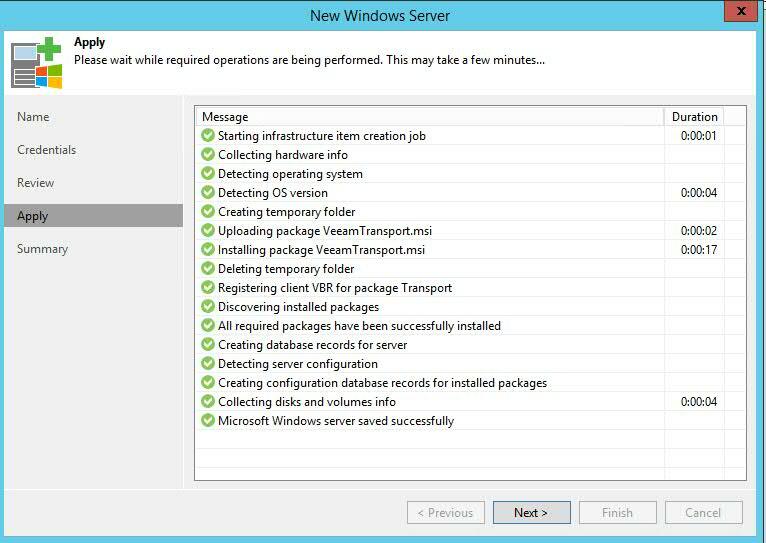 The summary page will display the tasks, the progress and their status - creating repository folder, installing components (mount server, vPower NFS), configuring components. 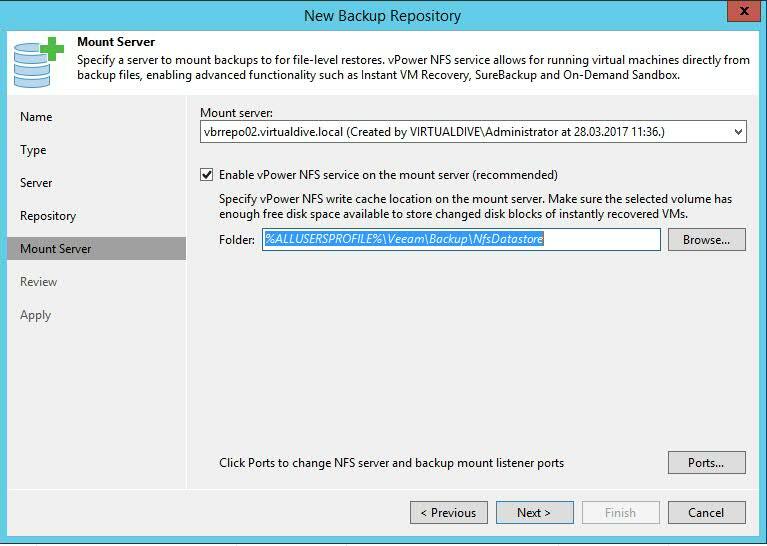 Veeam vPower NFS Service - enables running VMs directly from backup files by "publishing" VM vdmk's from backup files to vPower NFS datastore. 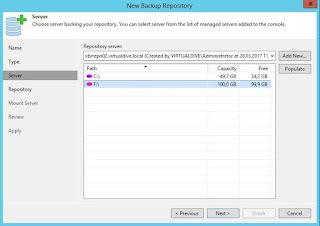 The datastore is then mounted on the ESXi host. 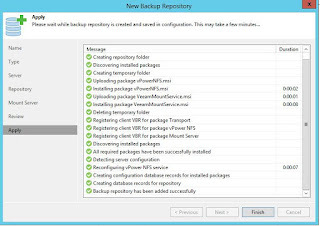 Once the process finishes, the new repository appears in the repository list of the VBR console and it is ready to use. 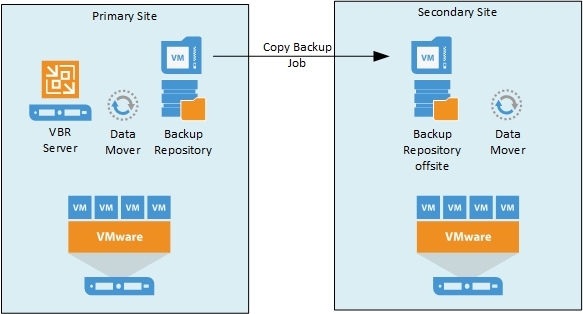 Use it as a destination for a copy job or as an offsite backup job.